the whole making up "The Spiritual Hierarchy". The very highest frequency is simply known as "Source" or "God”. Next are the "Lords of Creation", considered by some to be the “Creator Gods”. Then there are the many angelic beings who take any number of positions of responsibility for the small or large portions of creation they oversee. And in multi-dimensional space there are commanders of space ships and crew. In our political system there is a president/prime minister, vice president/ministers, governors, senators, congressmen, mayors and councilmen; within the legal system there are federal, state and county judges, attorneys and police; in the military there are generals, colonels, majors, lieutenants, sergeants; and in the business world there is a president, vice presidents, chairmen, members of the board, managers, and so on.... All that exists on earth gets its inspiration from what exists (on some level) in spirit. Originating from Source, whatever energies, vibrations, directives or messages to be transmitted are "downloaded" into your higher being... which then filters through the various layers of your energy field and dimensional bodies/aspects... eventually to be picked up by your conscious human self. There is a vertical channel of communication that travels up and down between your human and divine self. Any spiritual energetic blocks, ego-mind resistances, soul fracturing, karmic issues... lodged within that channel, will tend to distort or block whatever messages that wish to be directed up to source or down to the human self. and finally, one develops a closer more powerful connection to Source – the Creator. Until the soul has completely let go of all external attachments and on all levels, totally connected its consciousness and energy field to Source... the soul is inextricably bound to many other beings, some who are more hooked into the lower densities and dimensions. In this spiritual hierarchy of souls, in terms of frequency (as well as power and responsibility), there will always be someone above and someone below. This hierarchy binds us all together in the great design to evolve and uplift all of creation. ALL beings - from the most powerful Creator Gods to the humblest creatures on earth, may seem to be distanced from each other by many degrees of separation, but like a telephone or power line that is routed through many sending and receiving stations, we are all connected. Working with and through this hierarchy, there are many opportunities for the soul (and its many aspects) to evolve or advance. It may take the equivalent of many human lifetimes of concerted effort, but when the soul neutralizes its karma and completes its lessons on one level of creation, it is then free to move up and receive initiation into the next, stepping into a whole new set of challenges. If you were in a circle of people and whispered a message to one person, and they whispered it to another, and another, and so on... when the message finally got back around to you it probably would not be the exact same message. It’s somewhat the same when spirit is sending you a message - it must go through all the interference and distortion patterns or "filters" that exist at the various levels of your own inner being. This is why it is called “clearing work” – your channels of communication (among other things) get cleared so you can receive from Spirit directly and purely. The more you get cleared on all these levels, the clearer (and easier) you will receive from Source. Why can’t God send healings and messages directly, sidestepping all intermediaries? If "God" were to directly send us energies from the highest levels into the lowest levels... without stepping down the intensity of the energies, it would overload or blow out our energy field and destroy us! Most people cannot (initially) handle that powerful an energy and cutting edge of consciousness, but must work up to it slowly. 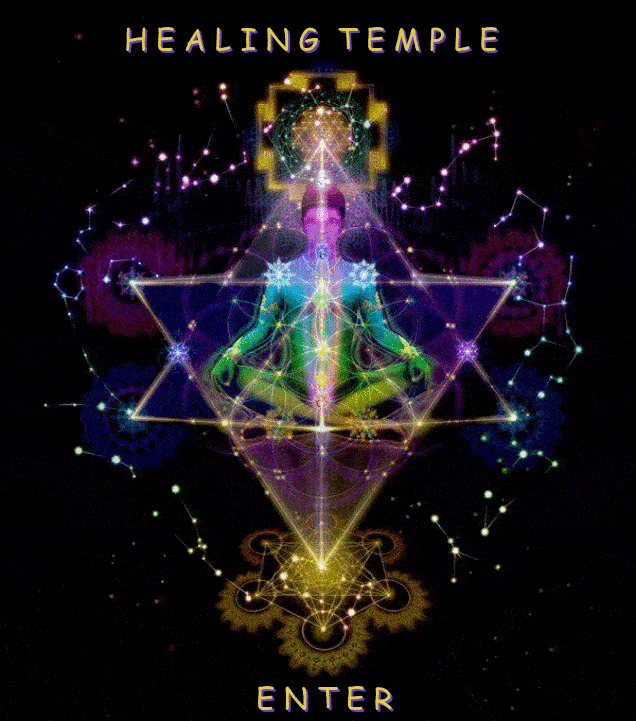 If all our energy blocks and issues were to be hit with the full blast of Gods awesome might and penetrating light, our physical body and human mind would not be able to process out the debris nor integrate the shifts fast enough, and our body-mind would overload and crash. Because of this, Spirit sends us His agents or intermediaries who can step down or transform His more powerful energies and consciousness so that it meets us at our level (or at a level a step or so above). Besides, most of us here are like small children to the likes of the Highest of Spirits. Do you give solid food to a baby before they have teeth to chew and process it? No. Neither would Spirit. We are down here in the flesh working through our ego desires and mental fixations like little babies in grade school - it’s hard enough to follow through on what homework our teachers have given us down here on school earth, let alone take on the advanced courses which God may have for us in cosmic college. Fortunately, Spirit only gives us messages and tasks that we can handle with the abilities and tools we now have, and when we complete those we advance on to the next assignment, and the next... getting even more difficult tasks and more advanced teachers who lead us on to the next grade and the next. Maybe, eventually, we can meet the author of the text books, but not until we do our homework, and of course, pay our tuition (our karmic dues). The Ascended Masters, Angels, Goddesses, and countless others found on the highest dimensions – all of whom we may simply refer to as “Spirit” - have banded together into various fellowships in order to make "Gods Will" a manifest reality on every level of creation. A few common names which we recognize them by are the "Angelic Hierarchy", "Great White Brotherhood", "Galactic Federation of Light", "Ashtar Space Command", and of course the "Mystery Schools". The Spiritual Brotherhoods (and Sisterhoods), the Galactic Federations, the Space Commands, the Angelic Hierarchy, the Mystery Schools... none of these exist within the conceptual framework of our earth bound mentality. For example, these various "Fellowships" are not "Clubs" that one can fill out a form, pay dues and be a member. These "Fellowships" are also not a collective of egos or personalities like that typically found in their equivalents on earth - rather, it is composed of a number of collective "Higher Consciousness" that have no personal agenda save that of being aligned with the Divine Will. So what is our human role and relationship to this information? "Not my will but Thy will be done on Earth as it is in Heaven"
That we may become channels for spirit to work though, out consciousness and energy must become purified. The goal of all these Spiritual Fellowships is not necessarily to make "do-gooders" out of anyone. Doing good works in the world is a fine and important thing to be sure, yet... Spirit is more concerned with the purity with which we act from, rather than the act itself. There is a qualitative and quantitative difference between an act that comes from the limitations of the ego mind, verse an act that is aligned with and flows from the spiritual will of the Divine. Even if one is outwardly doing the smallest most mundane of things, if ones actions originate from Spirit, those actions cannot but ripple out into the world like a 2 ton rock landing in a still pool of water. Any action done with Spirit carries with it the full support of Spirit behind it, and such actions will always have a powerful impact on the world (whether we ever realize it or not). Spirits agenda with you is to make you a clear and expanded channel so you may be filled and overflowing with the energies and consciousness of joy, love, light and happiness... that you may serve life just by virtue of being "You"... nothing more, nothing less. If “outward good" comes that is a bonus, but is not the immediate goal. There are countless beings in the multi-verse who are working for the betterment of humanity and the universe. Spirit is not so limited as to work only through one person or being. Spirit works through us all – no matter how small or big a part that is. If Spirit finds you ready able and willing, Spirit will put you to work. The clearer and more expanded a channel we are - the larger the role we get to play. The divine plan for heaven to manifest on earth cannot possibly come to fruition through one soul (or one designated Savior) but through the combined efforts of many united towards one goal. We all need to focus on the weakest link – ourselves. Become crystal clear, be willing to be of service, and then utilize your unique and special gifts towards this cause. You too as an individual spirit are part of some "Spiritual Fellowship" which makes up the "Body of Christ'. It is now time to reclaim your rightful place. Listen to the still voice within. Act on what you receive.